Fix iPhone Video Stuttering Problems 2019: In Apple devices, you will not find any glitches generally. They are also not very stagnant like an android phone. But there can be a case that you find some problems in iPhones like video stuttering, flickering, and frame loss while watching videos. Fix iPhone Video Stuttering Problems 2019: If you are facing the above problem then you have come on the right page. In this blog, we will be talking about how you can fix this problem of iPhone stuttering. There are few steps which you have to follow in order to fix this problem. There might be the case that when you are watching videos from below platform you are facing this issue. Follow the below steps in order to fix this problem. There can be much reason behind it but you have to see which works for you. 1- Remove any app which is not used frequently. Clean some storage on your phone. Sometimes it may happen that too much of storage is the reason behind the stuttering of videos on your device. 2- You might need to update the application on which you are watching the videos. There can be chances that are facing this problem due to the bug in your iPhone application. 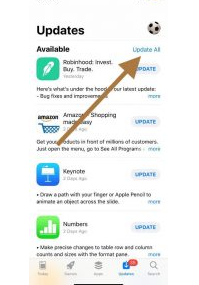 To update, on your iPhone, open the App Store app and tap Updates and then tap Update All. 3- You can go to Settings > General > Shut Down to turn off your device. And then restart your device by pressing and holding the power button until you see the Apple logo. 4-Turn OFF Background App Refresh. 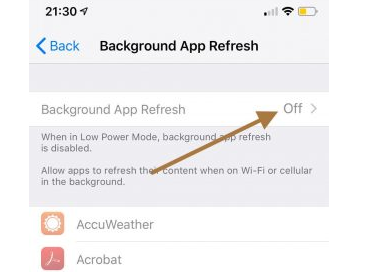 Go to Settings > General > Background App Refresh and turn it off. 5- Turn ON Reduce Motion. To do this, go to Settings > General > Accessibility and turn this on. 7-Disable auto brightness. 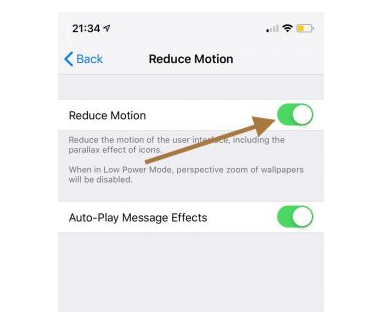 To do this, go to Settings >General > Accessibility > Display Accommodations and turn off Auto-Brightness. These were some of the steps which can help you to fix this problem.